LONDON, February 11. / TASS/ The drama of the Mexican director Alfonso Cuaron Roma and the historical film The Favourite by Greek Director Yorgos Lanthimos received the highest number of awards from the British Academy of Film and Television Arts (BAFTA) on Sunday night. The 72nd 'bronze mask' award ceremony was held on Sunday in London's Albert Hall. Roma received four awards including "Best Film" and "Best Director's Work" while The Favourite received seven awards out of the possible 12 categories. Most of the awards went to Cuaron, Best Cinematography, Best Editing, Best Foreign Language Film, and the Best Original Screenplay. 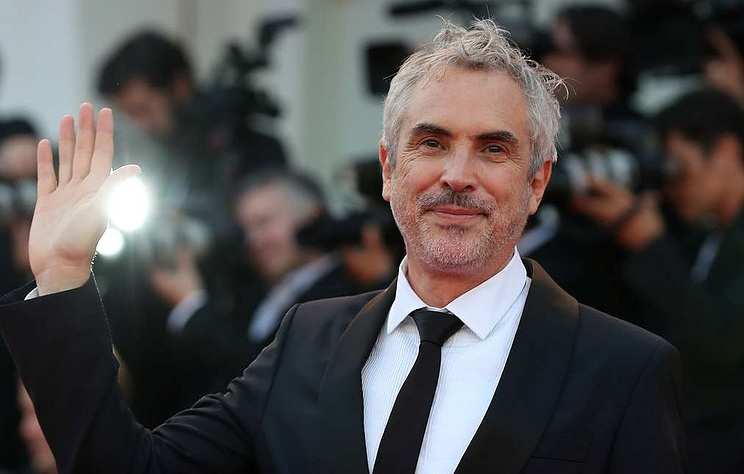 Considering that the 57-year-old Cuaron was also the cameraman for the film about the dramatic fate of the Mexican family in the 1970s, then this ceremony added four new 'bronze masks' to his rich collection. Cuaron already received BAFTA awards for the film Gravity in 2014 and Children of Men in 2007. Roma is a completely prosperous bourgeois quarter of Cuaron's native Mexico City, where the story of two women unfolds. To give greater authenticity, this largely autobiographical film was made black-and-white. It is noteworthy that the movie was filmed by the Netflix streaming service and thus virtually passed the cinemas. Cuaron drew attention to this, rising to the stage and thanking Netflix for "faith and courage." "Foreigners are just people with a different skin color, and one color complements the other. I am very pleased that BAFTA noted the story of a domestic worker with Indian roots. This film is saturated with the special colors of Mexico, and I also want to thank Mexico," he added. Art director Barbara Enriquez in conversation with TASS correspondent admitted that she did not expect the film to be so successful. "I never thought that this film would go so far and that it would be nominated for such a large number of awards. In Mexico, it was generally well received, but not without difficulties, because it is always at home, where you meet the most critics," said Enriquez . Previously, the film received two Golden Globes (for Best Direction and Best Foreign Language Film), was awarded the Golden Lion at the Venice Film Festival, the Goya Award and nominated for an Oscar in 10 categories. English actress Olivia Coleman received the BAFTA Award in the nomination "Best Female Role", having played the British Queen Anne in the historical film The Favorite. Earlier, the 45-year-old Coleman was awarded the Golden Globe, the Volpi Cup at the Venice Film Festival, and nominated for an Oscar. The Best Supporting actress was given to the British Rachel Weiss, who performed the role of Sarah Churchill - the approximate aging queen in the same film. The bitter struggle between Lady Sarah and her cousin Abigail (Emma Stone) for the favor of Her Majesty lies at the heart of the plot of the picture. The ruler, who is destined to become the last representative of the Stuarts dynasty, increasingly weakening mentally and physically, falls into the power of her favorites, who are ready for anything to establish control over the monarch. In total, The Favourite was nominated for awards in 11 categories, and in the category "Best Supporting Role" the film was represented at once by two actresses - Emma Stone and Rachel Weiss. As a result, the picture has collected seven awards.